My Scotland is a snappy, stimulating, sparkling and sometimes side-splitting superstore of stories covering the history, landscape and people of Scotland. This enchanting collection of 366 fascinating stories brings Scotland's history to life in a way that appeals to all ages. 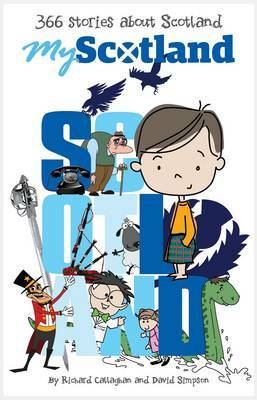 Order your very own Loch Ness Monster as you read about Scotland's heroes, villains, inventors, actors and writers. Uncover the mystery of the Tartan Pimpernel, Horseman's Word or Benbecula Blobster as you try out a recipe for rebellion or join gentleman adventurer Percival Temperley on his missions of discovery. There's a story for every day of the year including a leap year, so turn the pages and discover the secrets of Scotland.